Cathryn Constable read Theology at Cambridge University before working for Vogue, W, Elle Decoration, Elle and The Independent. She also wrote for a number of publications including Tatler and The Sunday Times before turning her hand to writing for children. 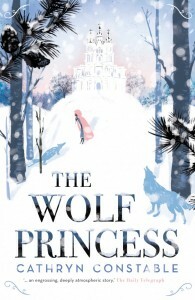 The Wolf Princess, Cathryn’s first novel for Chicken House, has sold over 100,000 copies worldwide and was shortlisted for the Waterstones Children's Book Prize 2012. 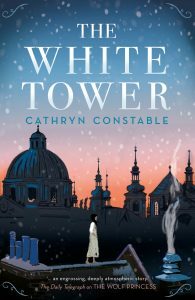 Her newest novel, The White Tower, published in January 2017. Cathryn is married with three children and lives in Islington, London. Happy book birthday to our January titles! Happy new year! And we have an awesome month of books for you to start the year off RIGHT. It's still pretty cold, so why not snuggle up in bed with one of these three fabulous reads? Today it's the turn of the wonderfully talented Cathryn Constable, author of the bestselling wintry adventure The Wolf Princess and her stunning new novel, The White Tower.